I don't know how the weather's been like at your area but it's been gloomy and stormy from where I am. Thank goodness we don't need umbrellas to hop on to other blog sites! 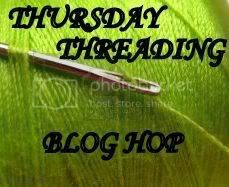 So start threading once more from one blog to the next 'cos it's time for Thursday Threading Blog Hop! Rules are simple. Just follow me (spot #1) if you truly like what you see on here, link up and then visit as many blogs as you'd like. Remember to comment on the sites so they know you're following. If you are interested in co-hosting in the weeks to come, kindly let me know by filling out the 'Contact Me' form on the side bar. It is cold, windy, and rainy with a chance of snow where I am at. Thanks for hosting this hop. I'm linked up again! Yay! Congrats you are my chosen blog for my friends to follow today on my U Follow Me Follow U Friday Hop. So get ready, you might have some visitors today! How does it work? For everyone who links up, I actually pick someone that I want to bring traffic to. I wish I could pick everyone but one person at a time. So this is your week. You are on my linky as #2 and I ask people to come visit you. IF you want to make a blog post and use my hop button you sure can, up to you. I'd be happy to give you the code if you want it for your blog. Up to you. http://cafescrapper-scrapsoflife.blogspot.com/2011/05/u-follow-me-i-follow-u-friday-blog-hop_27.html That is the link today! 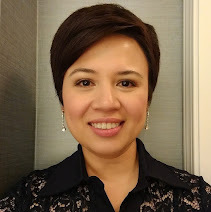 I am new to your blog and came across from Muriel's blog. I still have to read more of your work to get to know you better. P.S. We are starting a blog challenge for personal blogs in June, I thought you might be interested in joining us.Do get in touch. 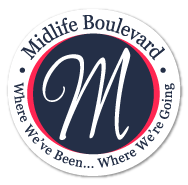 we will be sharing our posts twice a week and members will be commenting on each others posts. It will be exclusively for personal blogs. Would love it if you could join us. Do get in touch at my Facebook profile or at twitter!